The flowering plant world is divided into monocots and dicots. In other words, plants which possess one cotyledon in their seed and those which possess two. 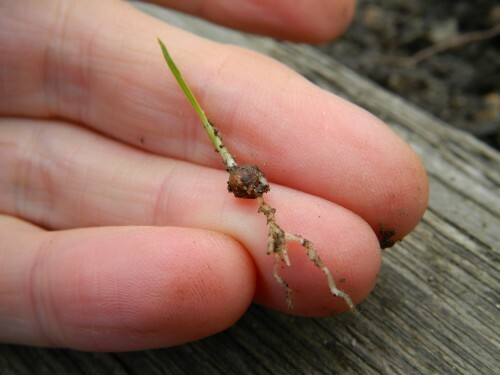 Monocots produce a single leaf from the seed and dicots produce a pair of leaves from the seed. Examples of monocots are: grasses, lilies, orchids and irises (see picture below).